When a business owner resists the idea that adding visuals to most — if not all — social media posts, it’s usually for some variation of the same reason — it’s too difficult, too time consuming, unrealistic, over-the-top. Just a few years ago, it was over-the-top (and more than a little expensive) to create a single original branded graphic, let alone several a week. That was before digital graphic design became accessible to anyone. And I mean anyone — even if you have have no design training, online graphics programs like Canva (our personal favorite) allow you to create basic graphics that look amazing. For free. We’ve been talking about Canva here for a long time now, but if you’ve yet to try it out, now is the time. If you’re still posting plain text Facebook posts and, yes, even Tweets, you’re getting lost between more engaging, more attractive posts. And you can forget about utilizing Pinterest and Instagram. Simply put, if you’re not creating visual content on a regular basis, you’re behind the times. Templates make creating graphics easy — and it’s easy to create your own in Canva. Decide on your brand’s logo, color(s), and fonts. This is a process you should have done before establishing your company on social media. If you haven’t done your branding yet, drop everything and get it done, with the help of a professional if necessary. Open a blank template for the size you need (choose a social media base). Placement your logo on the blank base. 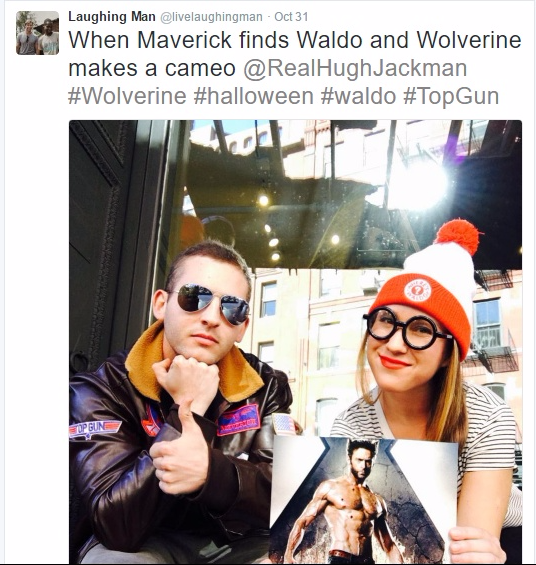 Keep in mind that it will be overlaying an image, so make it on the small size and place it in a corner. Add accents if you desire, such as a frame of some kind. Keep it simple, but some well-placed accents can enhance the design. 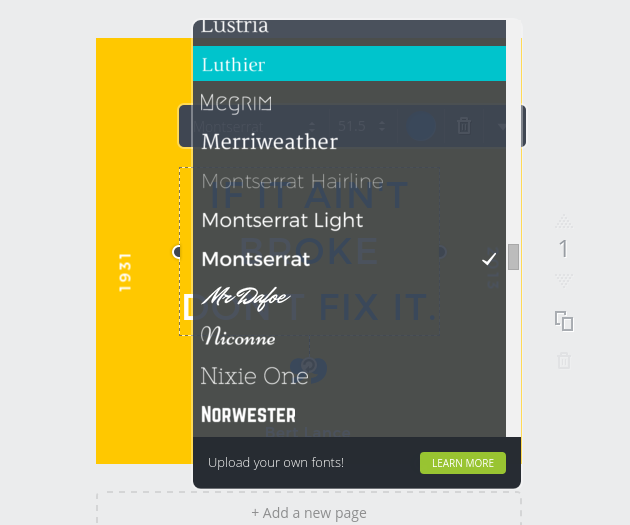 Canva has several pre-designed options. Remember to allow space for the text area. When you’ve got a design you like, save it as as a single element or layer. When it’s time to create a new social media image, simply overlay the design on your image, and add your text. Text-only posts are ineffective — but only if they’re plain, text-typed-into-a-box-only posts. Text in the form of an eye-catching typeface can work very well. With the right font, text is transformed into a visual work of art — but it’s important to use typography effectively. The biggest font pitfall people make with typography is muddling the design with too many fonts. The golden rule on fonts is to limit your use of fonts to no more that two different styles in a single graphic. You can break that rule, but if you’re not experienced in design, it’s probably not a good idea. Find a font you like to use as your brand’s primary font. Canva is a great starting place. A second font should be compatible with the first. If you take a look at Canva’s premade templates, they’re created by designers with an eye for typography. That’s the kind of look you should go for. Avoid super fancy and cliche fonts like Comic Sans. Your fonts should be easy to read above all else, with a style that meshes with your brand. It’s probably not brand appropriate for you to post images of the kinds of things that evoke warm and fuzzy emotions from people, like babies and interspecies animal friendships, but you can still create that kind of reaction through inspiring and motivational phrases laid out in a graphic. Why create images that have nothing to do directly with your company? Aside from the fact that a good 70% of what you post or share on social media should not be all about you, images that evoke emotions get shared and reshared, because that emotion makes it (and, by extension, you) automatically relatable. If you’re at a loss for inspiration, BrainyQuote can help you out. While they do have downloadable images all ready to go, it’s best to use the site for the quotes only, and create your own branded image, complete with your URL. If your motivational graphic picks up steam and gets shared far and wide, it will still be attached to you. Using the same font on your images gives your brand consistency. Filters — or, to be more accurate, a single filter — is another. Filters are readily available in most photo editors, including the default editor on your phone, Instagram, and, if you prefer to edit on a larger screen, online editors like PicMonkey. Don’t go too dramatic or over the top. Maybe muted hues are a good match for your brand, or a subtle boost in color saturation. Don’t go gimmicky, like Tiny Planet, or a choose a filter that won’t work with any image, such as a drab sepia..
You don’t have to use the same filter forever, but for consistency’s sake, try to find a look you like and apply it to the photos you post on social media. 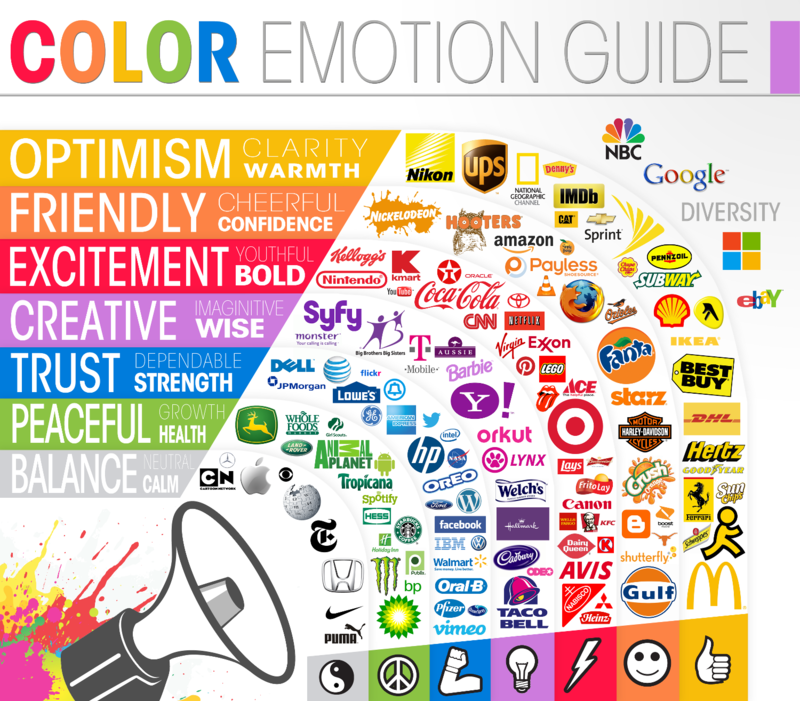 What’s your brand’s color? One of the best ways to create brand recognition is to utilize colors well. Your brand’s colors convey more than you might think: The Logo Company did a analysis of the psychology of color in logo design, and found that colors are closely tied to emotions. Yellow conveys warmth and optimism. Blue conveys trust and strength. Purple conveys fun and creativity. Black (and grey) are no-nonsense. You don’t have to stick to this like it’s set in stone — if you have a creative company, you don’t have to go with purple — but it’s something to think about when considering color for your brand. You should focus on one main color for simplicity, but a secondary color can work well too, like the color combinations worn by sports teams..
Once you’ve chosen on your brand’s color(s), it should be prominent on every image you create, in your logo, borders, text — wherever you add color. There’s no better way to put a human face on your brand than to put your face on it. Anything with a picture of your and/or your team will resonate with people, because, simply put, people are obsessed with people. If your company is faceless, it’s less personal — and this is especially true for small businesses that should be more personal than mega corporations. Don’t post selfies unless it’s connected to an event of some kind. Photos of you and your team should be taken by someone with photographic know-how, preferably a professional photographer. Get some work-action shots, too. Use your people pictures on blog posts, thank you posts, seasonal greetings, and, for very small businesses and independent contractors, as your social media icon. Don’t overdo it! The more you try an add to your designs, the less professional they will look. Don’t fear blank space or think you need to fill the entire area with text (in fact, please don’t do that). Keep it simple and succinct. 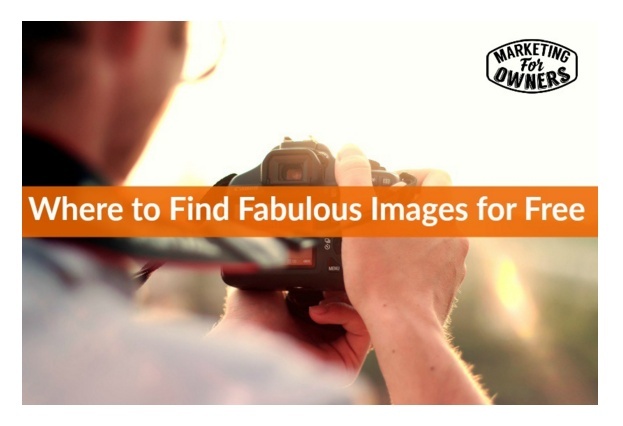 Stock photos are great, and can be a huge time saver, but try and use some of your own images, too. They give your graphics more of a personal feel, and no one else will have them. Of course, your photos should be crisp, clear, and professional looking. Create a banner with a solid background for your text, rather than placing text directly on top of an image, which more likely than not will be difficult to read. 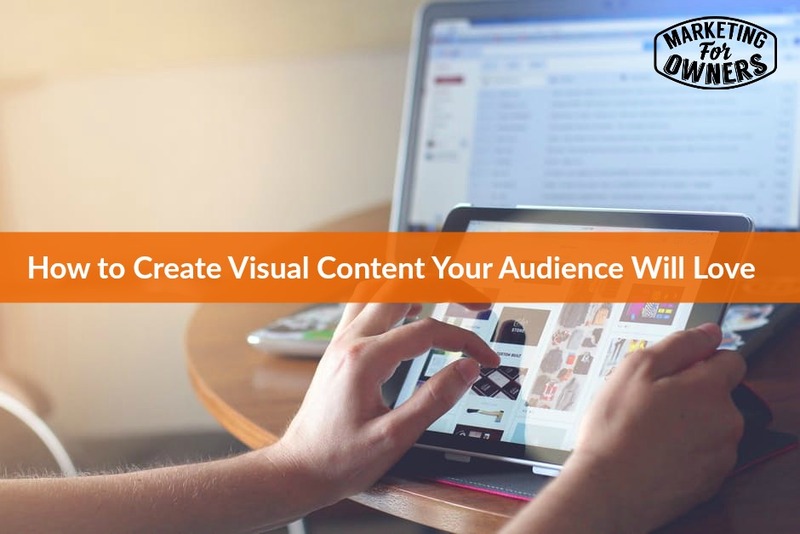 Creating visual content has never been easier, but that doesn’t mean it should be an afterthought. Color, style, text, content, and, of course, consistent branding are all elements you should be using in all of your imagery. When they come together just right, your followers will love them. How do you create visual content? Let us know in the comments!